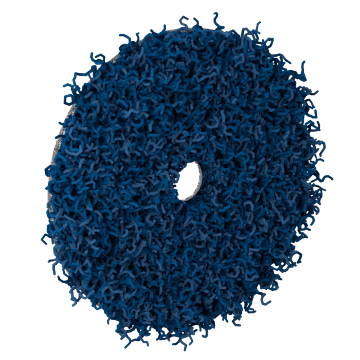 Handle heavy duty material removal tasks using these tear-resistant fiber-backed discs, which are stronger than discs with paper- or cloth-backing. 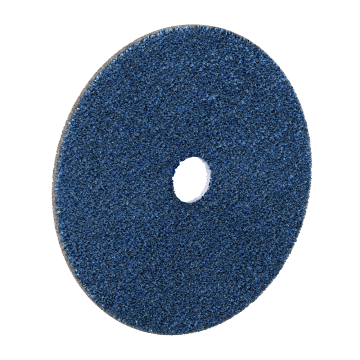 Mount these discs on a pad and secure on the arbor of a powered sanding tool (like a straight or angle grinder) for use in industrial applications such as weld leveling, grinding, and deburring. 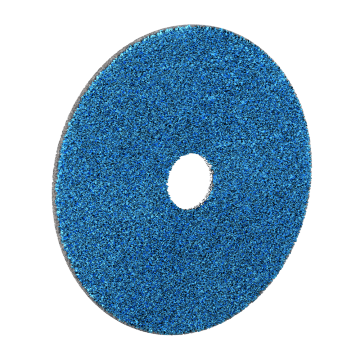 Use these versatile aluminum-oxide abrasive discs on a variety of metals and wood to grind down and debur material (using coarse or medium grits) or buff out imperfections and scratches (using finer grits). Aluminum oxide provides a balance of toughness and resistance to fracturing, making it a well-rounded choice for most workshops and production facilities. 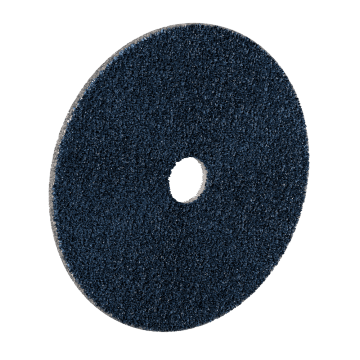 Sand hard metals such as stainless steel and titanium without having to stop frequently to replace your disc using these long-lasting zirconia-alumina abrasive discs. Zirconia-alumina abrasive is self-sharpening and harder than general purpose aluminum-oxide abrasive. These discs can also be used for heavy material removal like when planing wood. Reduce unwanted burnishing and the deformation of your workpiece caused by heat stress using these ceramic-alumina abrasive discs. 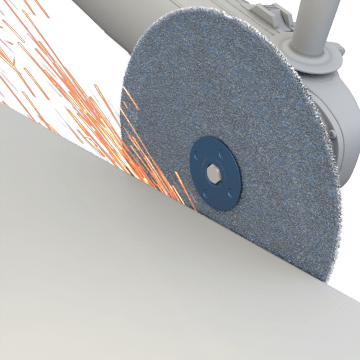 The abrasive naturally fractures when used to keep a new, sharp point at the surface, allowing these discs to cut faster, stay cooler, and last longer on hard materials than those with aluminum-oxide or zirconia-alumina abrasive. Use these discs on difficult-to-grind metals like stainless steel and titanium. 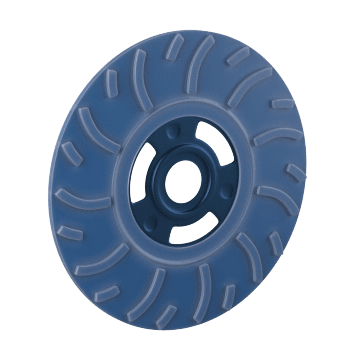 The open-webbed nylon fiber design of these discs allows debris to fall away during material removal to help prevent clogging (also known as loading), which keeps the wheels cutting at an even, consistent rate. The flexible webbing conforms to surfaces to provide a smooth finish on both flat and irregularly shaped surfaces without altering the shape of the workpiece. They are a good choice for high-production environments and applications that generate dust, such as removing coatings or rust. Replace worn or damaged backup pads on your sander. Faceplates and backup pads are required to support a fiber disc when sanding with a power tool. Choose a faceplate and backup pad that is the same diameter as your disc.